Are you looking to escape into the beauty of Cajun Country? Drive your RV on down to Frog City RV Park, which is located conveniently close to the Lucky Deuces Casino. Hopefully, you’ll win big at the casino, but even if you don’t, you’re sure to have loads of fun playing the variety of different games and machines. Cajun Country is known for its awe-striking beauty, so you may want to tour the nearby swamp during your stay. 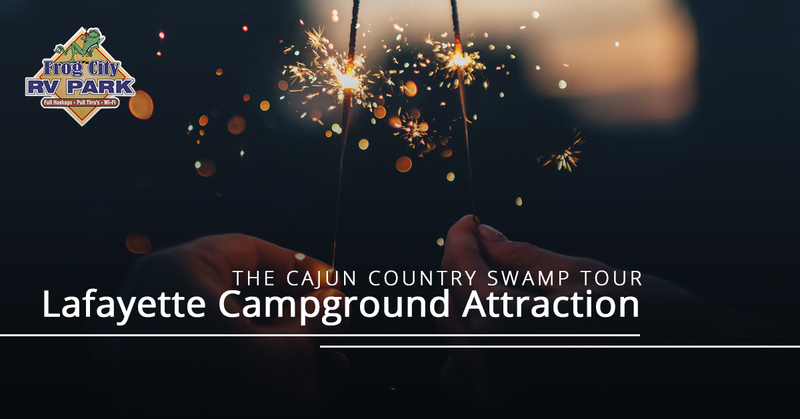 Located about 20 miles away, you can explore the swamps by signing up for a Cajun Country Swamp Tour, where you’ll tour the What can you expect during such a tour? These two-hour tours run throughout the entire year, and both adults and children are welcome. Using crawfish skiffs, these tours take you deep into the swamp while creating as little impact on the environment as possible. Rest assured that the Yamaha 4-stroke outboard motors are relatively quiet. The tour company has two boats that can accommodate a combination of two to 38 adults, but they can make arrangements for larger groups if needed. Here in the Cajun swamps, the wildlife you’ll see is breathtaking, which includes alligators, herons, egrets and more. However, it’s not just the wildlife that’s stunning; the trees and plant life are equally as beautiful. You’ll coast through the gorgeous bayou and view ancient cypress trees covered in Spanish moss. Conducted by a knowledgeable father and son team, Butch and Shawn Guchereau, you’ll find out all kinds of interesting information about the swamp’s history and ecosystem. With a degree in zoology and botany, Butch developed a deep understanding of the swamplands where he grew up, and he’s passed this information along to his son. In 1755, the French settlers living in Canada, the Acadians, were exiled from their homes by the British in 1755. Acadians moved South, settling in different parts of Louisiana, including this swamp, located just east of Lafayette. In 1950, the process of building a five-mile levee around Lake Martin began to maintain a constant water depth. The Young Businessman Club wanted to create a public hunting and fishing preserve. Throughout the entire year, the water level in swamps tends to fluctuate. With the construction of a levee, part of the swamp was transformed into an impoundment, which attracted more alligators and wading birds. You can even spot alligators that are over ten feet long in the swamp! Take a break from the slot machines and head on over to the Cajun Country Swamp Tours to revel in the beauty of nature. If you prefer to stay in for the day, that’s okay, too. 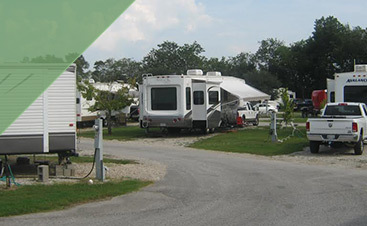 The Frog City RV Park is safe, clean and family-friendly. We have 62 spacious RV sites with great amenities. 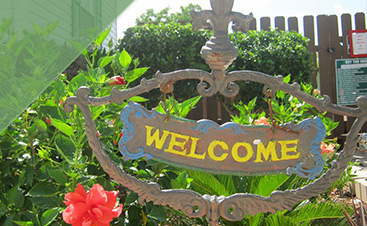 Some of our perks include free cable TV, a swimming pool, coin-operated laundry machines, private hot showers and a dog-walking area. 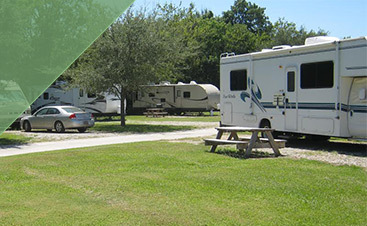 With reasonable rates and pull-throughs, staying at our RV park near Lafayette is easier than ever. Contact the Frog City RV Park to book your campground spot today.